Done entirely in this Elizabeth City office. If you live in or around Elizabeth City and are interested in dental implants, please call our office for a consultation. 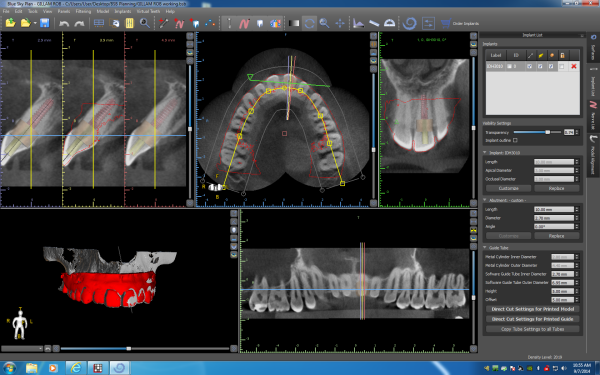 Advances in dental xrays allow a complete picture prior to starting your implant case using Cone Beam imaging. This ensures accuracy and safety. Nerves and other anatomic landmarks can be visualized to ensure the best outcome. 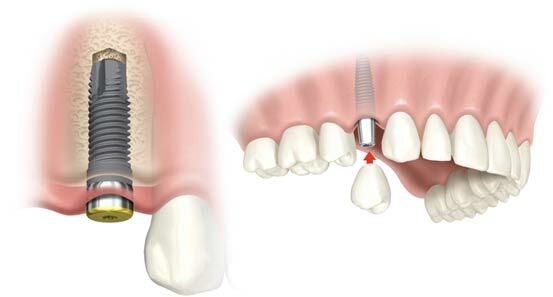 The implant is placed into bone below the gum. A post is added to stick up above the gum. The crown is made to fit onto the post. Click here to see how IMPLANT DENTURES work.